This hat is a replica of the one worn by the National Park Service Park Rangers. 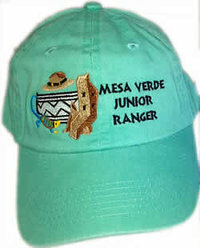 The hat is brown felt and features a band that reads, "Mesa Verde Junior Ranger" and the Mesa Verde logo. Great for children ages 3 to 13 and adults who don't want to grow up! Available in Children's Medium and Children's Large. Children's Large hat circumference is approximately 21". 100% cotton youth baseball cap with velcro back strap. 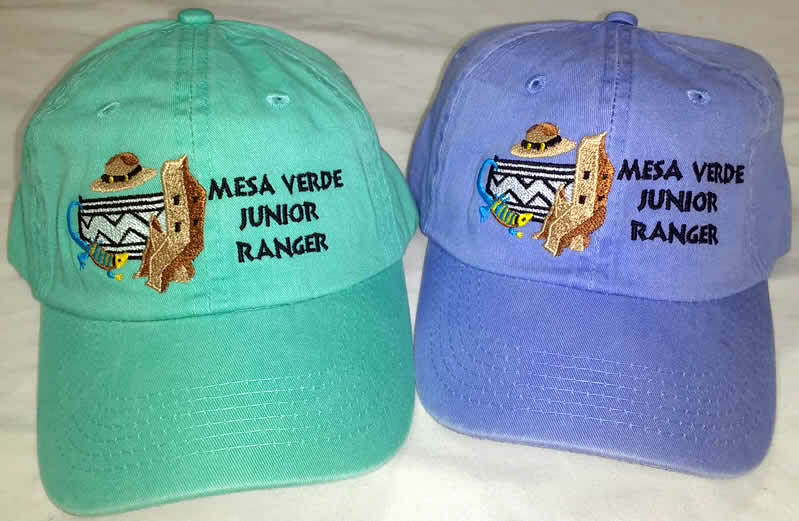 Embroidered with the colorful and vibrant Mesa Verde Jr Ranger logo. Available in seafoam green and perrywinkle blue. This plush bear hat is sure to bring a smile to all who see and wear it! Made with excellent detail, our bear hat is perfect for the youngster or young at heart. Made from high quality child friendly fabrics and meets or exceed all US safety standards. Sized for children but will stretch to fit adults. Ages 3 and up. Surface washing suggested. This plush coyote hat is sure to bring a smile to all who see and wear it! Made with excellent detail, our coyote hat is perfect for the youngster or young at heart. Made from high quality child friendly fabrics and meets or exceed all US safety standards. Sized for children but will stretch to fit adults. Ages 3 and up. Surface washing suggested. 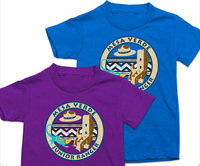 100% preshrunk cotton youth short sleeve tee featuring the colorful and vibrant Mesa Verde Jr Ranger logo.